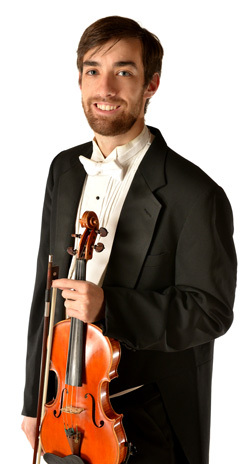 Prior to joining the Tucson Symphony, Mr. Rousos-Hammond served as Principal 2nd Violin of the Civic Orchestra of Chicago, and was previously a member of the Owensboro Symphony Orchestra and the Columbus Indiana Philharmonic. He has participated in festivals including the National Repertory Orchestra, Pacific Music Festival, Manchester Music Festival, and the Indiana University Summer Music Festival. He also performs with Tucson Chamber Artists, St. Andrew’s Bach Society, and as a recitalist.